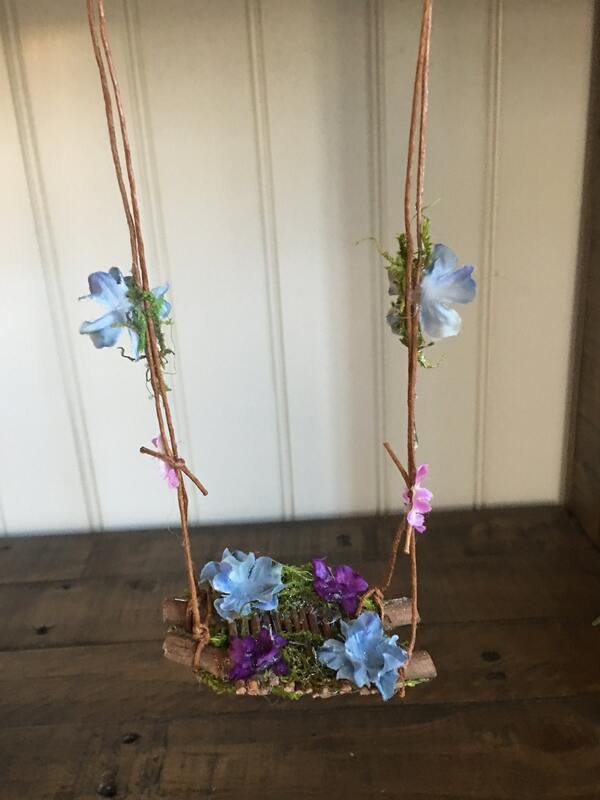 Add a Flower Fairy Swing!! Don't forget to play - Fairies never do! 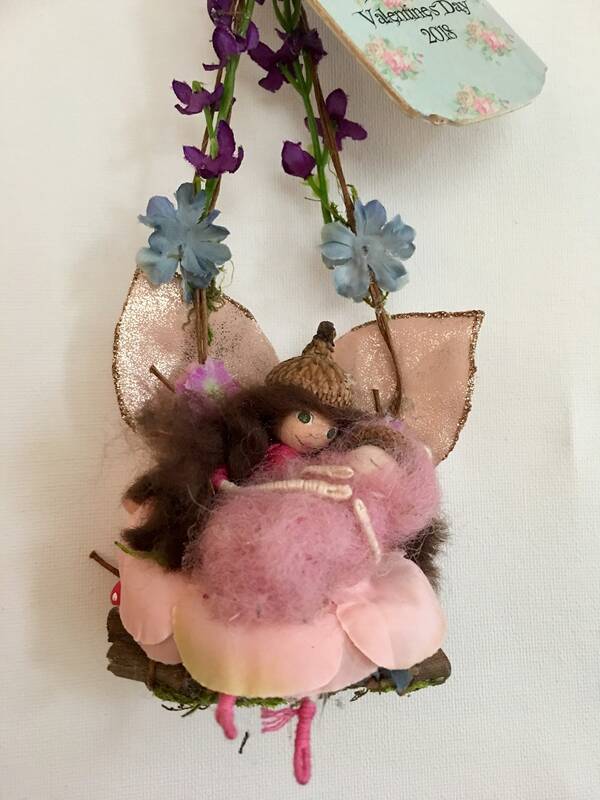 Provide a sweet handmade swing, adorned with tiny flowers, for your house fairies to discover. Hang in a child's room or from your favorite house plant for a whimsical touch. Everyone - even fairies - needs a happy place! *Intended for use in a sheltered area - will not withstand weather.